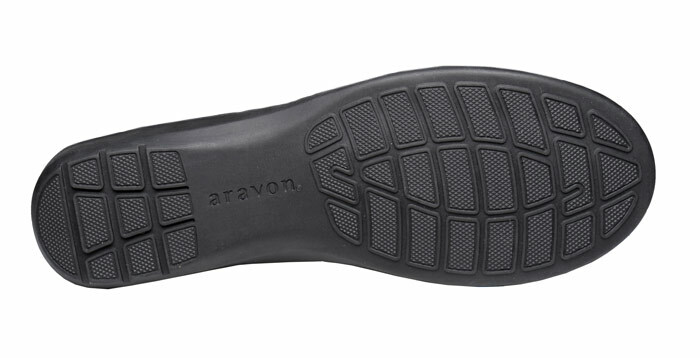 Aravon’s black “Andrea” slip-on looks great, but it’s the comfort of its plush, supportive insole that you’ll love. The removable footbed of EVA and luxurious Memory Foam has a reinforcing Stability Cradle and is covered in moisture-wicking Dri-Lex®. The linings are made of Dri-Lex®, too! Rubber outsole for good traction. Women’s sizes 6½–10, 11 and 12 in 2E width. Limited stock available.